IJCP and eMedinewS congratulate their Editor-in-Chief, Dr KK Aggarwal on taking over as the Honorary Secretary General Indian Medical Association. We wish him all success in his endeavors. Hypothermia is generally defined as having a core body temperature of 95 degrees Fahrenheit or lower and can occur when the outside environment gets too cold or the body’s heat production decreases. Older adults are especially vulnerable to hypothermia because their bodies’ response to cold can be diminished by underlying medical conditions such as diabetes and by use of some medicines, including over–the–counter cold remedies. Hypothermia can develop in older adults after relatively short exposure to cold weather or even a small drop in temperature. An individual may suffer from hypothermia if he or she has been exposed to cool temperatures and shows one or more of the following signs: slowed or slurred speech; sleepiness or confusion; shivering or stiffness in the arms and legs; poor control over body movements; slow reactions, or a weak pulse. Here are a few tips to help older people avoid hypothermia. Set the thermostat to at least 68 to 70 degrees. Even mildly cool homes with temperatures from 60 to 65 degrees can lead to hypothermia in older people. To stay warm at home, wear long underwear under your clothes, along with socks and slippers. Use a blanket to keep your legs and shoulders warm and wear a hat or cap indoors. When going outside in the cold, it is important to wear a hat, scarf, and gloves or mittens to prevent loss of body heat through your head and hands. A hat is particularly important because a large portion of body heat can be lost through the head. Wear several layers of warm loose clothing to help trap warm air between the layers. Check if any prescription or over–the–counter medications you are taking may increase your risk for hypothermia. In India, wear a monkey cap. Circulating leptin may be linked to knee cartilage thinning in adults after adjusting for body mass index and other factors, and may potentially explain the association between obesity and cartilage thickness, suggests a new study published in Annals of Rheumatic Diseases. Robot-assisted radical cystectomy with a pelvic lymph node dissection and open urinary diversion appeared to have no advantage over traditional open surgery, reported a trial published online in European Urology. The rates of grade 2-5 complications at 90 days were similar (62% in robot-assisted vs. 66% in traditional open radical cystectomy). The US Food and Drug Administration (FDA) has approved a fixed-dose combination of memantine hydrochloride extended-release (XR) and donepezil hydrochloride for moderate to severe Alzheimer's-related dementia in patients receiving stable doses of the two drugs. Compared with aerobic activities, daily weight training is more effective in keeping abdominal fat at bay, suggests a new study published in the journal Obesity. A high intake of yogurt is associated with a lower risk of developing type 2 diabetes, reports a new study published in BMC Medicine. Clazakizumab seems to be effective at controlling arthritis, enthesitis, and dactylitis in psoriatic arthritis (PsA) compared with placebo, suggests a small pilot study presented at the 2014 meeting of the American College of Rheumatology. There is a well known saying in Vedanta that you cannot hate strangers, you only can hate somebody whom you loved and withdrawal of love is what hatred is. Love and hate, therefore, are the two sides of the same coin. You cannot have both. You need to make an effort to hate somebody but love is always spontaneous. It is not true that if you love somebody, it means that you have a lot of time to spare. Love comes from the heart and not from the mind or the intellect. All complaints, related to the breach of the code should be addressed to the "Ethics Committee for Pharma Marketing Practices (ECPMP)", Secretary General/Chairman/President, "Name of Association". All complaints about any one activity of breach of code should to the extent practicable be made at one time. The complaint must be made within three month of breach of code. identify himself (whether a company or an individual) with a full mailing address (fax number, if possible, mobile telephone nos.). When the complaint is from a pharmaceutical company, the complaint must be signed or authorized in writing by the company's managing director or chief executive or equivalent and must state those clauses of the Code which are alleged to have been breached. identify the company which is alleged to be in breach of the Code, and the name of any company personnel, product or products which are specifically involved. give the details of the activity which is alleged to be in breach of the Code. give the date of the alleged breach of the Code. provide supporting evidence of the alleged breach(es). A non-refundable amount of Rs. 1,OOO/- is to be deposited by the complainant along with the complaint. The associations will elaborate how this payment is to be made within a month of issue of the code and upload the same on their website. When it appears from media reports (other than letters to the editor of a publication) that a company may have breached the Code, the matter will be treated as a complaint and the committee may request the concerned publication for further information. A published letter, from which it appears that a company may have breached the Code, will be dealt with as a complaint with the author being treated as the complainant. Any complaint received by the Department of Pharmaceuticals will also be forwarded to the concerned Association for necessary action. In such cases, the concerned association will further take up the matter with the complainant directly. Once a complaint is lodged, the process of enquiry shall be completed by the committee even if it is withdrawn. The Head of the association will personally take note of the complaint. The Head of the association will refer the complaint to the senior most (by designation) member (Chairman) of ECPMP and also indicate the names of other two members of the committee in case of conflict of interest. The decision will be made by majority. When the committee (ECPMP) receives information from which it appears that a company may have contravened the Code, the managing director or chief executive or equivalent of the company concerned will be requested to provide a complete response to the matters of complaint. To assist companies in ensuring that a complete response is submitted the committee may suggest to the respondent company about the relevant supporting material to be supplied. It is the responsibility of the respondent company to ensure that a full response is submitted. The company against which the complaint is made should provide supporting evidence even if it thinks that the Code has not been breached. The respondent company shall submit its comments and supporting documents to the committee within 10 working days after receipt of information from the committee. The Committee shall render a decision within 30 days of receipt of the complaint with supporting documentation and shall promptly notify the parties of its decision, and the reasons therefore, in writing and by registered mail. Where the committee decides no breach of the Code because it considers the matter of complaint is not within the scope of the Code, the complainant will be so advised in writing. Where the committee, after enquiry decides that there is breach of the Code, the complainant and the respondent company are so advised in writing and are given the reasons for the decision. If there is no request of review within the stipulated period (clause13.4), the decision of ECPMP shall be final and binding, and adherence to the decision shall be a condition of continued membership of the Association. The decisions shall be uploaded on the website of the Association. When it comes to heart health, educational attainment, such as college and graduate degrees, appears to provide protection for Whites against inflammation - a cardiovascular risk marker- while Blacks may not have any health benefit, suggested a new study by a Robert Wood Johnson Foundation (RWJF) Health & Society Scholar. Substantially slower progression of subclinical atherosclerosis was seen in patients with ankylosing spondylitis (AS) who remained on tumor necrosis factor (TNF) inhibitors compared with those who discontinued them, reported a study published online in Annals of Rheumatic Diseases. Fast food consumption may not only affect physical health but the amount of fast food children eat may also influence their academic growth, suggests a new study published in Clinical Pediatrics. Children who are neglected or abused are at increased risk of experiencing migraine than tension headache in adulthood, suggests a study published in Neurology. The Indian Medical Association, the only representative national organization of “Doctors of Modern Scientific System of Medicine” in India today witnessed a wave of change. For the first time in 86 years of the history of the Association, two Padma Shri National Awardees namely, Dr A Marthanda Pillai & Dr KK Aggarwal were sworn in as the President and Secretary General at a ceremony held at the Ahmedabad Convention Center. Dr A Marthanda Pillai, a leading Neurosurgeon and Dr KK Aggarwal, a Physician and Cardiologist are both known for their commitment to make the medical system more transparent, collaborative and efficient. Immediately after taking over, the duo, in their inaugural address said that Indian Medical Association will shift its focus from being a doctor-centric association to a community-centric one. Speaking about their plans for the next two years, they said that the association will connect with every doctor in the country on a regular basis with the campaign ‘IMA Rise and Shine’. The association will also start several new initiatives like a Mediation and Grievance Cell, updated Self Code of Conduct for doctors, health care settings in a digital framework, helping the poor "Jiska Koi Nahin uska IMA" project, promoting the Made in India concept for medical technologies; bringing a medical emblem to differentiate allopathic doctors from other pathies and helping take Indian research projects to an international level. Adding to this, Dr K K Aggarwal, the incoming Honorary Secretary General and the President of Heart Care Foundation of India said, “The new team of the IMA will start the year with the concept of wellness through a holistic approach. The first day, at the Association’s headquarters in New Delhi, will begin with a Rudrabhishek Yagna conducted by eleven pandits followed by blessings from Spiritual Gurus representing all nine religions on 30th December." The Indian Medical Association, in the coming two years, will also work towards providing NRI doctors a platform to serve their country; building consensus on treating patients with minimum investigations and with the rational use of drugs; help the government achieve its health targets and parameters for the term and fight for some policymaking changes. Through its project ‘Swachh Bharat - Swasthya Bharat’, the association will aim at reducing the disease burden of the country by 50%. One of the key goals of the association will be to minimize hospitalizations with maximum safety. About IMA: Indian Medical Association is the only representative, national voluntary organization of Doctors of Modern Scientific System of Medicine, which looks after the interest of doctors as well as the well-being of the community at large. It has its Headquarters in Delhi and State / Terr. Branches in 29 States and 7 Union Territories. It has over 2,15,000 doctors as its members through more than 1650 active local branches spread across the country. About Dr KK Aggarwal: A renowned physician, cardiologist, spiritual writer and motivational speaker, Dr KK Aggarwal is the founding Trustee and President of Heart Care Foundation of India, a leading national non-profit organization working in the field of healthcare in India. 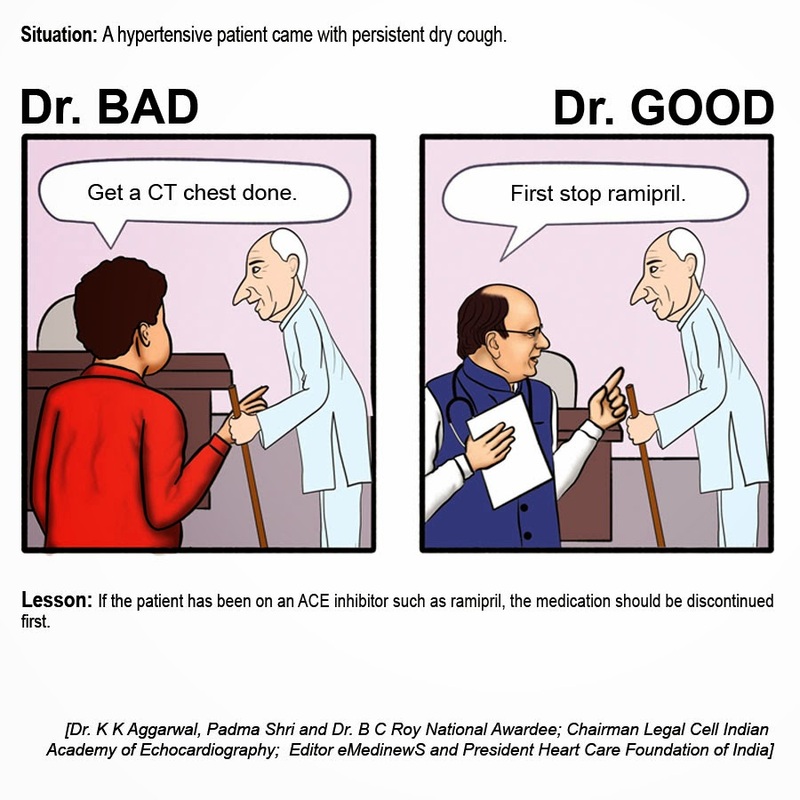 In addition to this, he is also the past Senior National Vice President of the Indian Medical Association; Editor in Chief of IJCP, A Medical Communications Group and Emedinews, First national daily emedical newspaper of India; Senior Physician, Cardiologist and Dean Board of Medical Education – Moolchand Medcity; Member Ethics Committee of the Medical Council of India and the Chairman Ethics Committee of the Delhi Medical Council. A doctor and social worker par excellence, Dr. KK Aggarwal is the only doctor in the country to have received three prestigious National awards namely the Padma Shri, Dr. BC Roy and the DST National Science and Communication Award. He is also a Limca Book of World Record holder for the maximum number of people trained in the lifesaving technique of hands only CPR in one go. About Dr Marthanda Pillai - MS (Neuro), MNAMS (Neuro), FRCS, Dr Marthanda Pillai is a neurosurgeon. In 2011 he became the only former National President and Vice President of the Indian Medical Association in Kerala State to receive the Padma Shri National Award for medicine for the year 2010-2011.During Dr. Pillai’s service in the Government Health Service, he oversaw the improvement of the neurosurgical services to one of the best at the national level. He has performed thousands of free brain and spinal operations for patients, saving thousands of lives. In the private sector he is currently the Managing Director of Ananthapuri Hospitals & Research Institute in Thiruvananthapuram. He accepts only nominal fees for consultation, to remain accessible to poor patients. He is a visiting surgeon to several leading hospitals in India and abroad. Review of your objectives and risk/reward attitudes: Short-term, medium range and long-term goals as well as perceptions of risks and expected rewards. Asset structure: Review of current holdings, present value, cost basis, growth and expected purchases. Liabilities: Present and anticipated debt obligations. Income tax analysis: Projections for 10 years, with review of personal tax returns for last two years. Master implementation checklist: To monitor financial progress and be aware of advisor performance.